Whether the Open University in Ireland should also count as an Irish university may be a matter of semantics; it is certainly a university with a significant presence in Ireland. Technically, Trinity College is not a university but merely the single college within the University of Dublin (Wikipedia). However, for all but the most rarefied of legal purposes the distinction is irrelevant. Maynooth, NUI Galway, UCC and UCD are constituent universities of the National University of Ireland (NUI) (Website¦Wikipedia). Before 1997 they were technically not distinct universities but merely NUI colleges. Today they are each universities in their own right, as well as members of the NUI. The Irish universities (other than TU Dublin) are represented by the Irish Universities Association (IUA) (Website¦Wikipedia), formerly known as the Conference of Heads of Irish Universities (CHIU). The first technological university – TU Dublin – came into existence on 1 January 2019 (see SI 437/2018). Legally speaking ‘university’ and ‘technological university’ do not overlap: unis and TUs are governed by different legislation, they have somewhat different missions and functions, and TUs are members of the Technological Higher Education Association (THEA) (Website) rather than the IUA. Yet certainly the ability to describe themselves as universities is a major incentive for ITs to merge into TUs. Whether the difference is real and/or important may depend on who is asking, and for what purpose; TUs certainly differ from the unis, but each of the unis differs from the other unis. The seven Universities Act universities. An educational institution or facility established and described as a ‘university’ before 30 July 1996 (which presumably includes the National University of Ireland, the Pontifical University St Patrick’s College Maynooth, and the Open University) (see Universities Act 1997 s 52). An education provider acting within the terms of an authorisation granted by the Minister for Education and Skills, and so describing itself only outside Ireland (see Education (Miscellaneous Provisions) Act 2015 s 2) – the only institution so authorised, or ever meant to be so authorised, is the RCSI. On one view this is a rather dubious provision, as it authorises the RCSI to mis-describe itself. (Presumably) Technological Universities are so entitled, though the legislation does not say so expressly, nor does it make any amendment to the Universities Act. Anyone who has the Minister’s approval so to describe themselves (see Universities Act 1997 s 52). Reforms are always in the air. At present, various possible mergers within the third level sector are under discussion, though none of the universities are pressing for them. Abolition of the NUI was recently proposed by government (probably as a tidying-up operation prior to other proposed changes), but there was little support, and the proposal was abandoned. 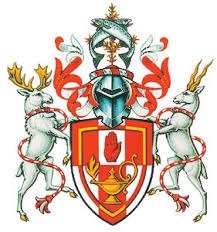 The RCSI is currently lobbying to be permitted to describe itself as a university within the state as well as outside it, even though this heightens the anomaly still further: given that the government has no intention of declaring the RCSI a university, it is extremely odd if it is contemplating allowing it to say it is a university. Powered by WordPress v 5.1.1. Page in 0.909 seconds.